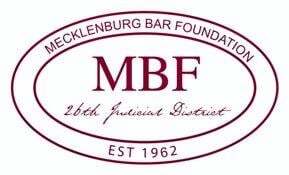 The revenue of the Mecklenburg Bar Foundation (the Foundation) is used to fund the Foundation's charitable programs and to defray its operating costs. The revenue consists of donations and income from the Foundation's invested funds (Investment Funds). A continuing, growing income stream from the Investment Funds is important to the Foundation, to support its programs and to meet current grant requests. Growth of the corpus of the Investment Funds also is important to meet projected future needs. It shall be the investment policy of the Foundation to invest the Investment Funds with the goals of safety of principal, growth of principal, maximization of total investment yield in accordance with stated investment objectives, and maintenance of liquidity sufficient to achieve the stated purposes of the Foundation. In establishing this investment policy, the Board of Directors of the Foundation (the Board) desires to clearly define investment objectives and procedures; provide investment managers with guidance, authority, and limitations with respect to the investment of funds; create a basis for understanding investment objectives and processes as well as a basis for evaluating investment performance; and designate investment asset allocation parameters. "Investment Manager" shall mean any organization and/or individual employed to manage Investment Funds of the Foundation. "Equity Investment" shall mean common stocks, convertible stocks, or other securities representing ownership. "Fixed Income Investment" shall mean securities promising a stated periodic return. "Market Cycle" shall mean a period of three (3) to five (5) years. Investments shall be made so as to minimize the risk of large losses; provided, however, that short-term fluctuations in investment value shall be considered secondary to long-term investment results. Cash on hand should be productively employed at all times by investment in short-term cash equivalents. To prevent a possible loss resulting from the forced sale of investments held in accordance with this policy in order to meet a disbursement obligation, the Foundation shall periodically provide Investment Managers with estimated future net cash flow needs for a reasonable period. Fixed Income Investment results should exceed those of the SLB Govt/Corp Index measured over a Market Cycle. Investment performance shall be measured at least semi-annually on the basis of the total rate of return. Investment performance shall be related to the overall stated investment objectives and capital market returns as evidenced by the various market indices hereinafter stated. Investment performance comparisons shall be made for such periods of time as deemed appropriate by the Board; provided, that a complete Market Cycle should be a significant consideration as it pertains to the measurement of performance of an Investment Manager. I. . Subject to the above stated General Investment Principles and Investment Objectives, funds may be invested in both Equity Investments and Fixed Income Investments. II. The percentage of Equity Investments shall not normally exceed fifty-five percent (55%) of the aggregate investment portfolio; provided, however, that the maximum Equity Investment percentage may be increased, from time to time, to sixty-five percent (65%) to accommodate temporary market fluctuations; and provided, further, that market fluctuations shall be considered permanent and investments shall be reallocated if the percentage of Equity Investments shall exceed sixty-five percent (65%) at the end of any calendar quarter. III. The percentage of investment in foreign Fixed Income and/or foreign Equity Investments shall not exceed ten percent (10%) of the aggregate portfolio. I. Equity Investments shall be those issues traded on the New York Stock Exchange, American Stock Exchange, Regional stock exchanges, and/or over-the-counter markets. Foreign Equity Investments shall be made only in those companies which utilize the American Depository Receipt (ADR) form. II. Equity Investments shall be further limited to: a) not more than twenty percent (20%), at cost, of the aggregate Equity Investment portfolio in any one industry; b) not more than ten percent (10%), at cost , of the aggregate Equity Investment portfolio in any one company; and c) not more than one percent (1%) of any one companys outstanding common stock. II. The average quality for the aggregate Fixed Income Investment portfolio shall equal or exceed an "A" rating..
IV. The average duration of the investments in the Fixed Income Investment portfolio, in the aggregate, shall not exceed seven (7) years. Subject to the provisions of this investment policy, the Board authorizes the Finance and Investment Committee, with the assistance of the Executive Director of the Foundation, to invest all Investment Funds as may be held by the Foundation from time to time. I. Investment results achieved in relation to stated investment objectives and other applicable comparisons. II. Methods used to achieve investment results. III. Future investment strategies considering past, present, and prospective economic and financial market climates. IV. Adherence to, and compliance with, this investment policy and other guidelines that may be adopted by the Board.